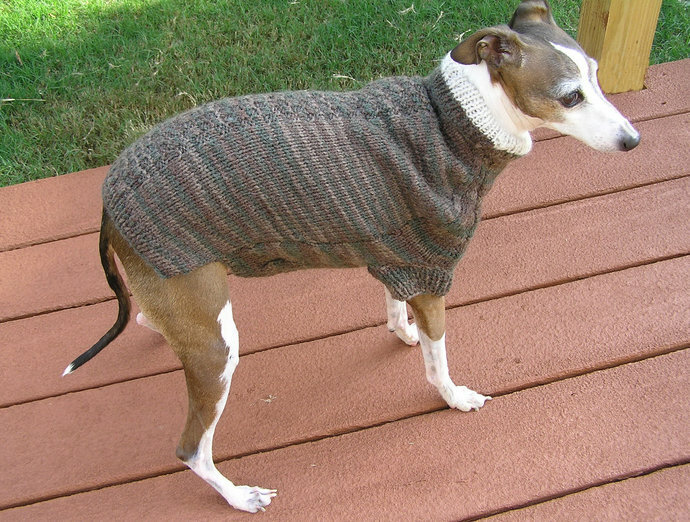 A beautifully knit dog sweater, this listing was hand knit to perfection. 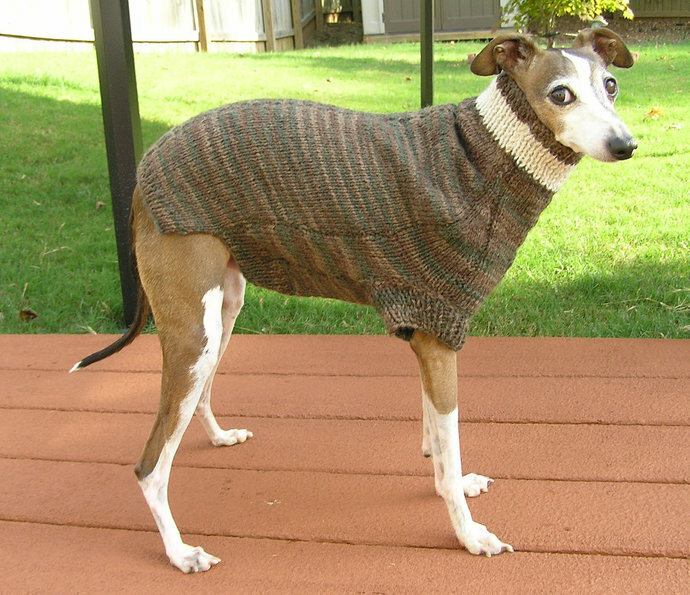 The top line has been knit in a gorgeous pattern making this sweater unique. The neck has been knit in an off white making this a must have. 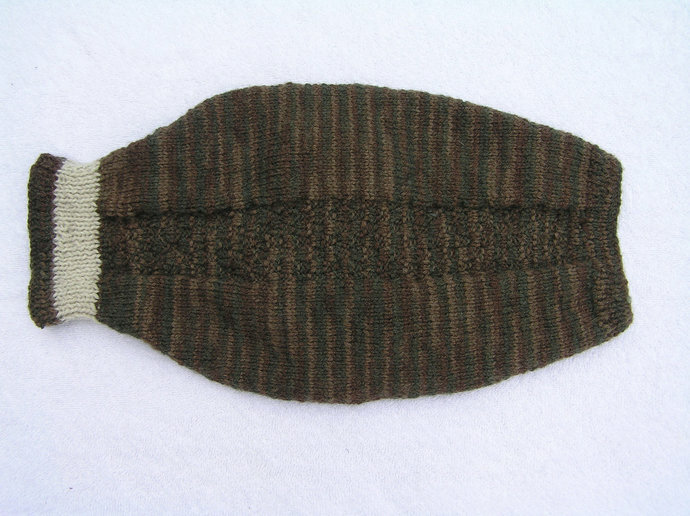 The neck can be worn up for added warmth or can be folded down. Wool/acrylic blend. Very warm and comfortable. 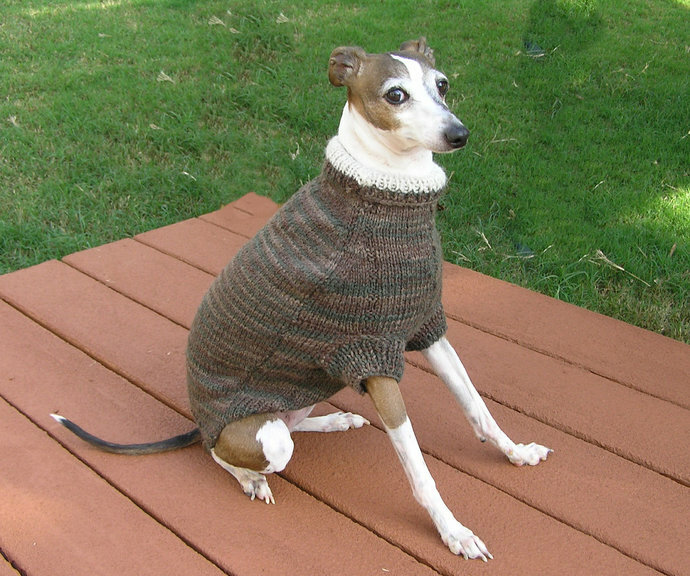 Sweater combines subtle shades of brown, and greens in soft earth tones. Beautiful. 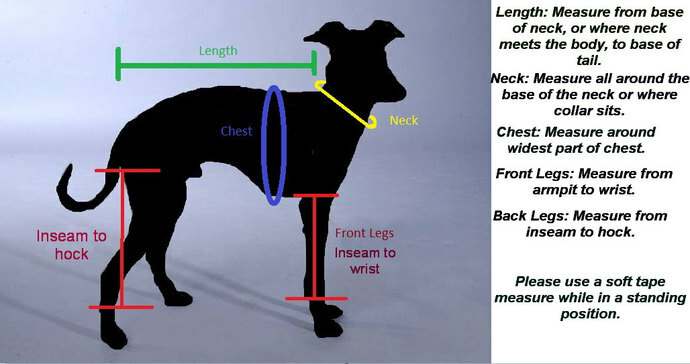 Length from base of neck to base of tail: 15"
Length along the chest to belly area: 11"